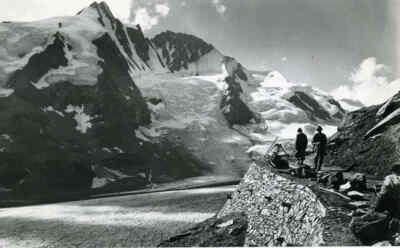 Humans dared to take the path over the 2,504 m high Hochtor as long as 3,500 years ago. Celts and Romans mostly used the shortest north-south connection for trade. This tradition continued throughout the centuries. Coveted goods such as spices, fabrics and gems came from the south, while the north returned the favour providing, for example, metal and furs. 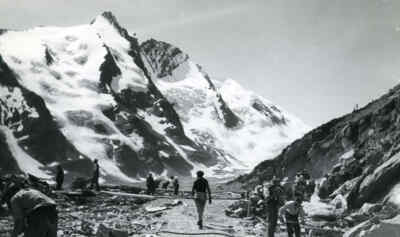 The alpine pass, however, was acutely dangerous: the long hike and unpredictable changes in weather including heavy snow and cold snaps cost many a hiker’s life. It comes as no surprise that the people called upon the gods at the Hochtor to be kind to them. 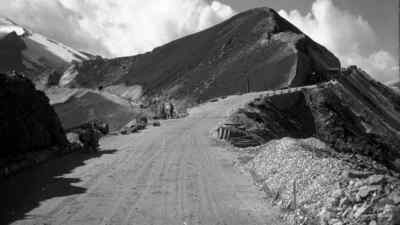 Despite all the dangers, trade continued across the extreme north-south route until protective import taxes and, eventually, alternative and decisively easier paths outstripped the mountain pass. 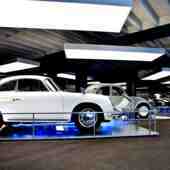 Today, the exhibition “Passheiligtum Hochtor” (Eng. “Hochtor Pass Sanctuary”) on the apex of the Grossglockner High Alpine Road, which is well worth visiting, attests to the north-south traffic. 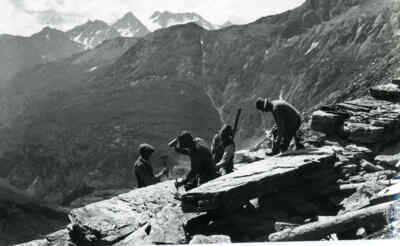 The bronze Roman statuette of the demigod Hercules that dates back to the time around Nativity is to be found here, and was discovered by workers during the construction of the alpine road. Other statuette fragments, Celtic and Roman coins are the best proof of the popularity of this trade route. 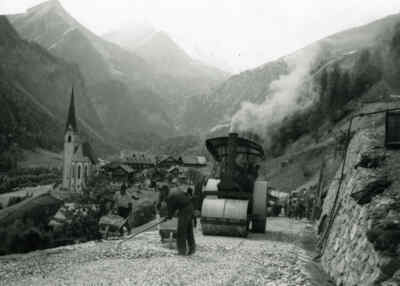 There were a number of reasons for constructing the modern Herculean project that is the Grossglockner Road. For one, after the fall of the Habsburg Empire and fragmentation during World War I, the First Republic of Austria was looking for projects to give the country a new identity that nobody really thought would succeed. Furthermore, unemployment rates were high. A construction site that big would create thousands of jobs. A third aspect was the burgeoning tourism. 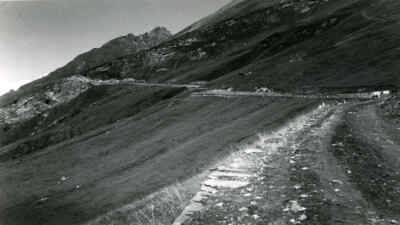 The spectacular panoramic road was intended to generate income via road charges and holidaymakers. Having one’s own car was considered a luxury for the rich, and the hope was to do some lucrative business with such people. 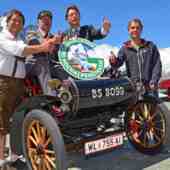 We have the persuasiveness of then state governor Franz Rehrl and the brilliant planning of the young construction engineer Franz Wallack to thank for the actual realisation of the Grossglockner High Alpine Road project. 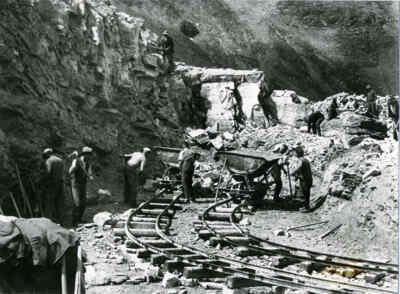 A new north-south connection, work for up to 4,000 men and the prospect of lucrative business deals ensured that the first blasting on 30 August 1930 heralded the construction of the alpine road. 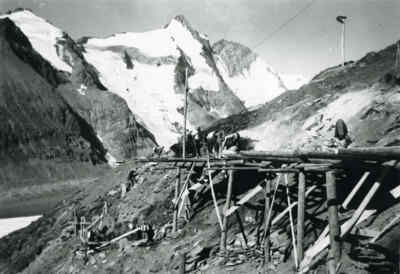 Having overcome numerous obstacles including financial difficulties, the Grossglockner High Alpine Road was inaugurated only five years later on 3 August 1934 by Austrian President Wilhelm Miklas. On the following day, the first car race took place on the road then paved with sand. Also present was state governor Rehrl and engineer Wallack! A memorial site at the Fuscher Törl is dedicated to all the workers who lost their lives during the construction. Instead of trade, tourism helped the new north-south connection to find quick success. 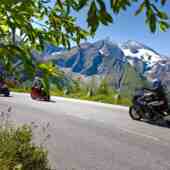 All of a sudden, one of Europe’s greatest high alpine landscapes was accessible for everyone. Motorisation increased during the years of the Wirtschaftswunder (Eng. “economic miracle”) and cars became increasingly commonplace. The road’s 48 kilometres and 36 turns were widened and extended, and parking, gastronomy and accommodation businesses, exhibitions and adventure paths nowadays guarantee a unique experience in the heart of the Alps for around 900,000 visitors per year. 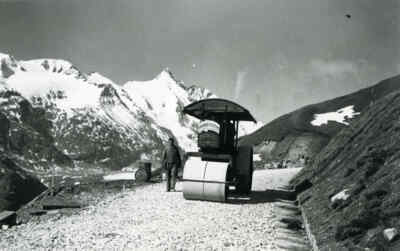 If you want to find out more about the Grossglockner High Alpine Road project, check out the exhibition “Bau der Strasse” (Engl. 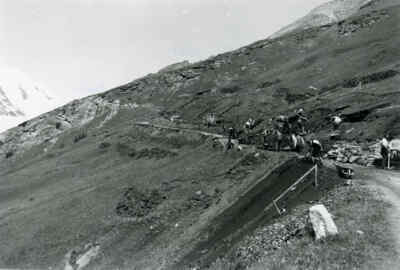 “Construction of the Road”) at the original road maintenance workers’ booth at the Fuscher Lacke. The one-of-a-kind mountain road is now one of Austria’s top three sights along with Schönbrunn Palace and Hohensalzburg Castle! 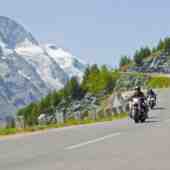 You’d like to experience the sensational Grossglockner High Alpine Road yourself? Find out more about the road charges and opening hours now!